A recent celebration of the 60th anniversary of the launch of Explorer 1 reflected on the incredible progress and scientific insights from this and subsequent space missions. The International Geophysical Year (IGY) of 1957-58 was a watershed period in the history of science. Together with the profound understanding of Earth’s atmosphere, oceans, and polar regions (especially the Antarctic) that emerged from the IGY, this worldwide program also gave birth to the ‘Space Age.’ On 4 October 1957, the Union of Soviet Socialist Republics (USSR) astounded the world with its launch of the first artificial Earth satellite, Sputnik 1. Just four weeks later the USSR launched a much larger and more sophisticated spacecraft, Sputnik 2 (3 November 1957). Sputnik 2 had several scientific objectives including measurement of cosmic radiation using a sensor package provided by a team led by Sergei Vernov of Moscow State University. The United States launched its first Earth satellite on 31 January 1958. This small spacecraft called Explorer 1 also had instrumentation on board to measure cosmic radiation. The experimental team led by James A. Van Allen of the University of Iowa made the first great discovery of the Space Age, namely that Earth is shrouded in toroids of high-energy, magnetically-trapped radiation. These regions of confined energetic electrons and protons are now called the Van Allen radiation belts. The story of the Soviet and America early space programs [McDougall, 1985] and the resultant discovery of Earth’s magnetosphere [Van Allen, 1983; Baker and Panasyuk, 2017] is fascinating. The discovery of radiation belts around the Earth was completely unexpected and it led to the development of a new scientific discipline: Space Physics. This discipline of studies of plasmas in space has grown and thrived over the past six decades so that it is now a scientific endeavor pursued by numerous space agencies and academic institutions around the world. Neither Vernov nor Van Allen could probably have envisioned in their earliest work how important space physics would become both from a basic science perspective and from the standpoint of applied research (‘Space Weather’). In the Fall of 2016, one of us (DNB) corresponded with Professor Mikhail Panasyuk of Moscow State University. The idea was born to have 60th anniversary celebrations in Russia and in the United States to honor the launches of Sputnik and Explorer 1, respectively. The Sputnik event was to be held in Moscow in October 2017, while the Explorer celebration was planned for 31 January 2018 in Washington, DC, exactly 60 years after the Explorer 1 launch. Working together with the National Academies of Sciences and Engineering, the plan for the U.S. celebration took shape. Under the auspices of the Space Studies Board of the National Academies, it was arranged to have a daylong program of historical perspectives and talks looking to the future of space physics research. Working closely as well with NASA Headquarters and the Jet Propulsion Laboratory of NASA, a program of talks and events emerged that commemorated the past achievements in radiation belt science, but also gazed forward to the bright future opportunities in this field (see event program). The presentations and accompanying discussion at the 31 January symposium demonstrated just how amazing has been the progress of the last 60 years. 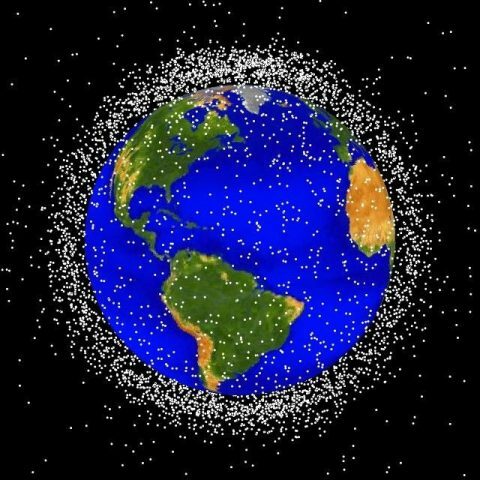 Humankind has gone from the most rudimentary exploration of near-Earth space to a situation where there are now over 1700 Earth-orbiting satellites. These range from science missions (including several intensive studies of the radiation belts) to spacecraft that provide remote resource sensing of our home planet, offer nearly instantaneous worldwide communication, give global views of weather patterns, and show in great detail how the Sun and the space environment are behaving. The world is now embedded within a cyber-electric ‘cocoon’ that extends from the Earth’s surface all the way to the far reaches of space. It is almost impossible to imagine modern society without a reliance on the space sector and all the satellites around Earth. How could modern society cope with ‘A day without space’? The celebration of the Explorer 1 Mission and Discovery of Earth’s Radiation Belts was an excellent opportunity to take stock of how Earth and space science is essential for society. There were a couple of hundred attendees at the event at the National Academy building. Most appropriately, this is where James Van Allen, William Pickering, and Wernher von Braun announced the Explorer launch 60 years earlier. But there were – we are told – over 69,000 others from around the world as well who watched the proceeding using modern (space-aided!) technology to remotely observe the celebration program (view the webcast). This symposium made clear how important the events of six decades ago were. In launching Sputnik and Explorer, humankind discovered not only the radiation belts, but also found the potential within ourselves to become a spacefaring species. A new world dawned when the Space Age began. In honor of this anniversary, AGU has compiled a special collection of research articles and commentaries to celebrate the discoveries of Explorer 1 and highlight recent advances in radiation belt science for Earth and beyond. Citation: Baker, D. N., and L. J. Lanzerotti (2018), Earth’s radiation belts: celebrating six decades of discovery, Eos, 99, https://doi.org/10.1029/2018EO094581. Published on 20 March 2018.